The government aims further bring down solar power tariff to Rs.4 a unit, Power and Coal Minister Piyush Goyal said on Thursday.In what emerged on Wednesday as an all-time low tariff for solar energy, US-based SunEdison has won a bid to sell power at the rate of Rs.4.63 per kilowatt-hour (KWh) from its 500 megawatt plant in Andhra Pradesh under the Jawaharlal Nehru National Solar Mission. "My (solar tariff) target is Rs.4. 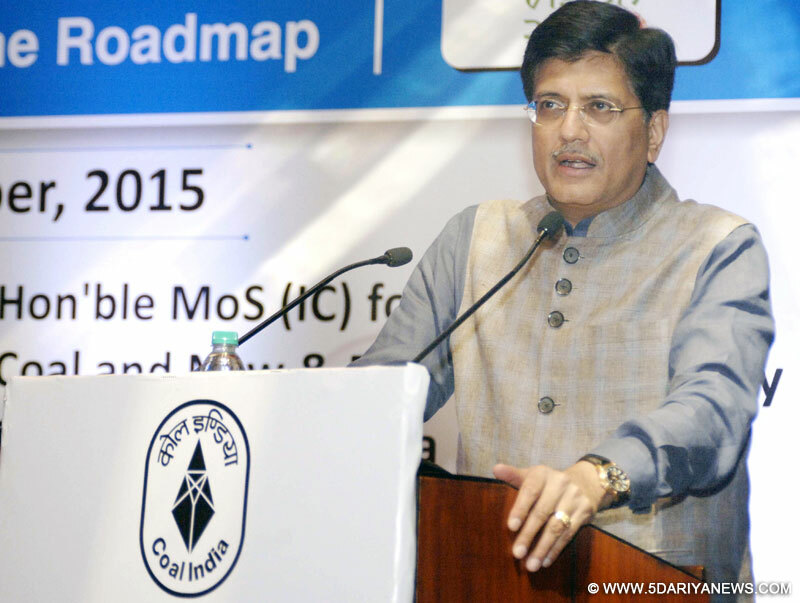 It is an ambitious target," Goyal told reporters here on the sidelines of the launch of the "Looking beyond horizon-Roadmap" for opening of 36 mines in 36 months by Western Coalfields Ltd.
"Delighted that solar tariff in India have broken Rs. 5/kWh level. NTPC has received bids of Rs 4.8/ kWh through ongoing reverse e-bidding," Goyal had tweeted on Wednesday.The minister also said the cabinet will take a decision on the coal linkage policy for non-regulated sector, power and fertiliser industries. "Serious discussions with regard to the linkages are underway. In the coming days I think in non-regulated sector and power and fertiliser sector, the cabinet will take a call on the linkage policy. We are having discussions with all the stakeholders," Goyal said.